The ShoutIRC Bot is an advanced application designed for integrating your users with your online radio. 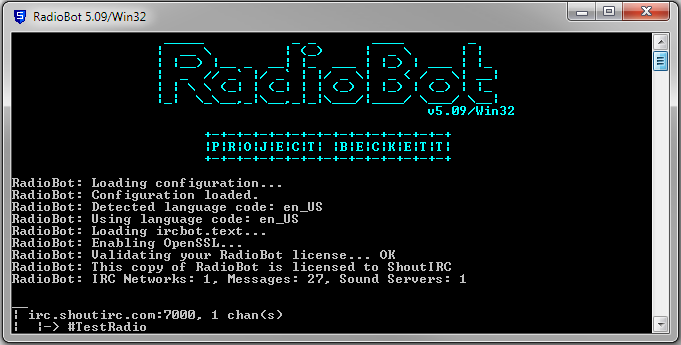 If you would like to see RadioBot in action, just connect to IRC at irc.shoutirc.com and /join #shoutirc [(m)IRC Link: irc://irc.shoutirc.com/shoutirc]. If you prefer a web-based IRC client, you can click here. ShoutIRC is ready to run on multiple platforms and operating systems. Your DJs can accept requests over IRC or if they aren't chatters they can use the standalone RadioBot Client. The full list of features is below with some screen shots as well. Runs natively on Windows (XP/Vista/7/8), Linux, and FreeBSD. Want the bot ported to another system? Just contact us! Provides MP3, AAC+, OggVorbis, OggOpus, or AAC [see the AutoDJ wiki entry] stream to ShoutCast/Icecast/Steamcast servers (want another streaming server supported? Just contact us!). On Windows, you can also use Winamp encoder plugins to provide other types of streams. 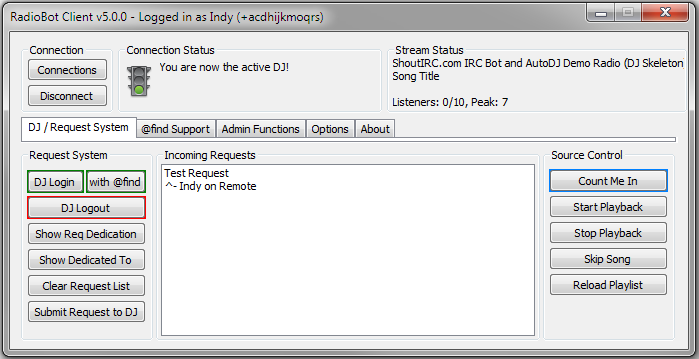 Full request and WebRequest support to request files in the Auto DJ playlist [demo]. Provides a countdown for DJs so there are no abrupt song changes when a DJ wants to connect to the stream. Will automatically play a promo spot every X songs. Can auto-generate a HTML playlist for your website. Add !request support to your SAM Broadcaster! More information on SAM integration can be found here. Know something else you would like the bot to do? Post a Feature Request! * Music by Kevin MacLeod used with permission. 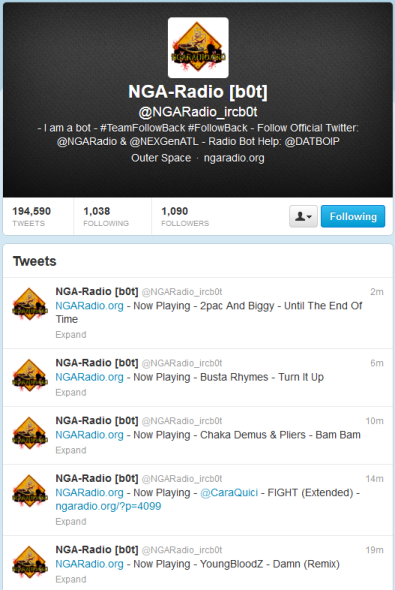 A station's actual Twitter feed powered by RadioBot. 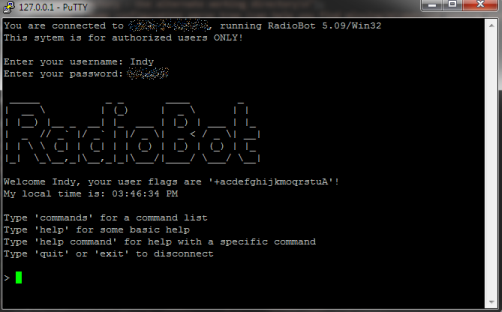 You can download RadioBot here. Page served in: 0.2 ms, 16 queries.